Be sober-minded; be watchful. 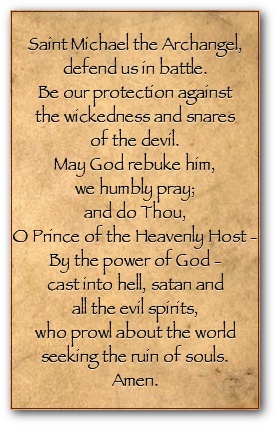 Your adversary the devil prowls around like a roaring lion, seeking someone to devour. Resist him, firm in your faith, knowing that the same kinds of suffering are being experienced by your brotherhood throughout the world. And after you have suffered a little while, the God of all grace, who has called you to his eternal glory in Christ, will himself restore, confirm, strengthen, and establish you. To him be the dominion forever and ever. Amen. Finally, be strong in the Lord and in the strength of his might. Put on the whole armor of God, that you may be able to stand against the schemes of the devil. 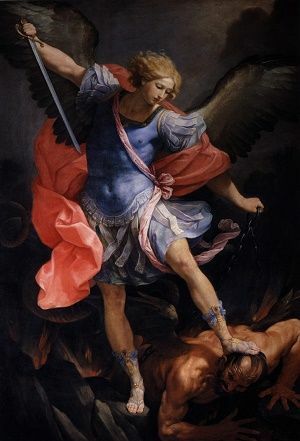 For we do not wrestle against flesh and blood, but against the rulers, against the authorities, against the cosmic powers over this present darkness, against the spiritual forces of evil in the heavenly places. Therefore take up the whole armor of God, that you may be able to withstand in the evil day, and having done all, to stand firm. Stand therefore, having fastened on the belt of truth, and having put on the breastplate of righteousness. I beg You to destroy the Power of your greatest enemy – the evil spirits, The devil. with every beat of my heart and with every breath I take. Blood of Christ, inebriate me! that I may be absorbed in Your interests and Your Will. Absorbed so as to be unmindful of my ills and petty cares.